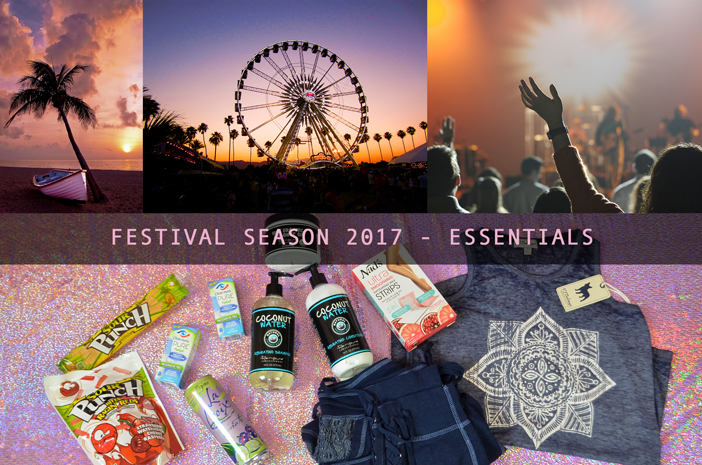 Festival Season 2017 - Fashion and Beauty Essentials | Fashion Fab News - fashion, beauty, celebrities, designers . Festival Season is upon us, which means the search for beauty and fashion products to be 100% prepared is on. I am ending this search right now and helping you to be ready for fun times and great music with my list of basic essentials for this 2017 festival season. Planning out what you need for the big event is not that easy and I highly recommend you to do it at least 2 weeks in advance. 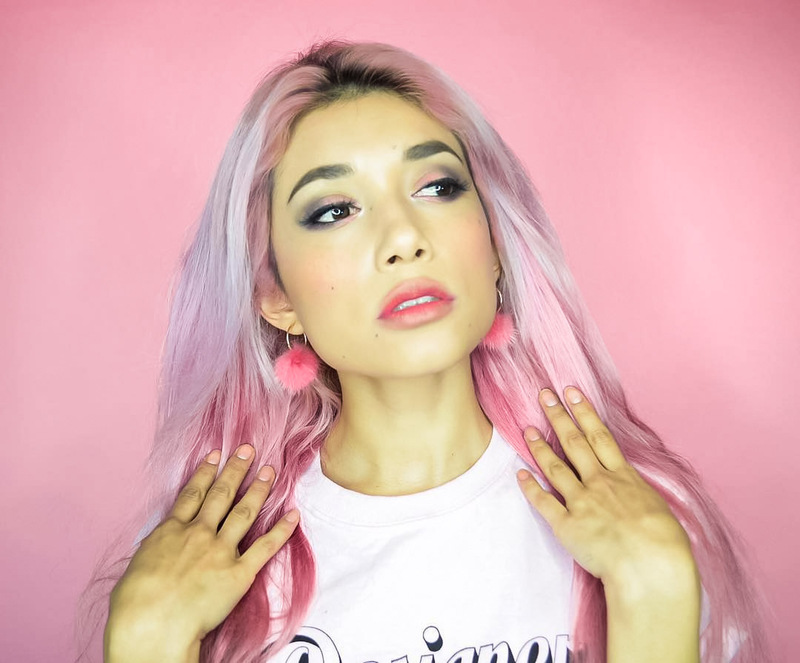 If you are like me, you would want to know what OOTD and Makeup look are perfect for every day, but first, there are some products that would make your time easier and more relaxed at the event and we need to talk about them. Don't worry, I'll post about fashion and makeup looks for the festival season later this week, stay tuned! It's sunny outside and our poor hair is going to be dealing with a lot of stress this season. I have been using Renpure products these days and decided that they were good enough to share them with you and also to bring them with me in my suitcase. 2. 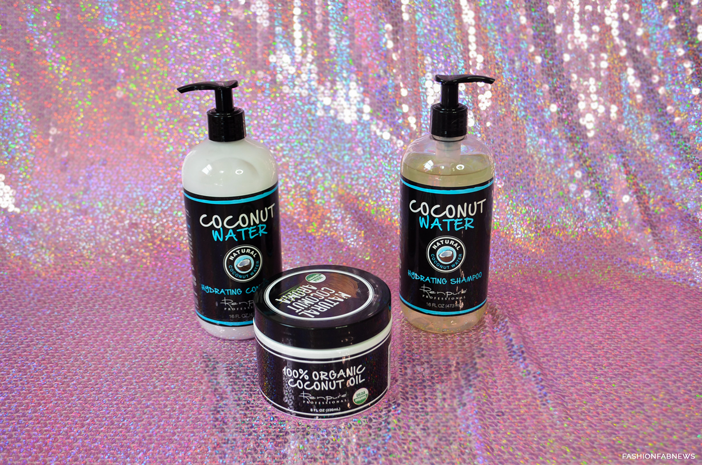 Coconut Water Hydrating Conditioner. 3. 100% Organic Coconut Oil. Coconut oil is like the holy grail for haircare.It is perfect for your hair, your teeth, skin, great as a makeup remover, etc. It is just amazing and you definitely need this for your festival. If you don't want to carry the big bottles, repackaging these products in travel size bottles is the way to go. You definitely need relaxing and comfy clothes after the show. You would probably be tired, but you'd want to hang out a little bit more with your friends. PJ Salvage has really cute festival inspired pieces that you can definitely wear both day and night!. I prefer pants instead of shorts, so I think this set is great for me! The batik print in the top is great to show the bohemian vibes that this season always brings with it. The PJ Salvage's "blue batik" set is inspired by denim-everything, with unique prints, garment dye treatments, incredible fabrics – this collection has it all. Music Festivals are usually outdoors and we expose our eyes to so many different things like dust, sand, smoke,and many more, that's why carrying eye drops with you is so important. I use the eye drops from Clear Eyes, Pure Relief Multi-Symptom drops, This formula is designed to relieve red, burning, itchy eyes for up to 12 hours. Spring and Summer festivals are the perfect occasions to wear cute skirts and shorts, but most of us prefer to have nice shaved legs and need time to shave them. That's when Nad's Ultra Smoothing Exfoliating Wax Strips come to the rescue. These strips are amazing! They have synthetic bee wax which I prefer and also post wax calming oil wipes to remove the excess and reduce the redness. 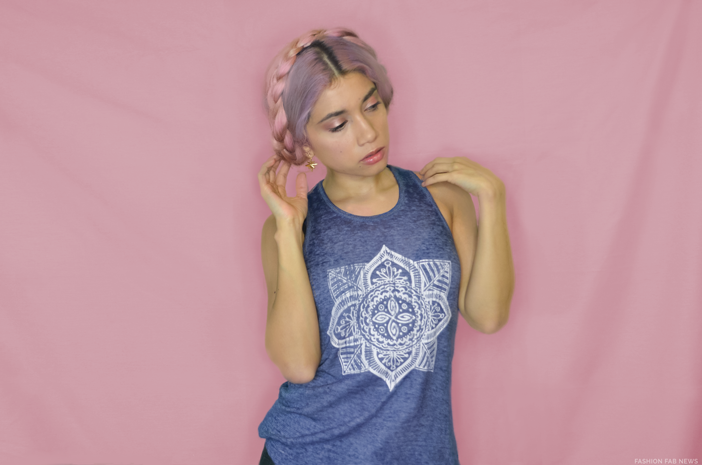 Now you don't have to worry about showing more skin this festival season. The most important thing of our list has to be something to drink. You are going to be screaming and singing, and the weather is not going to help you either, so you better pack a big bottle of water. If you are tired of drinking regular water, at least drink something healthy, something like La Croix sparkling water. I have tried the "blackberry cucumber" La Croix and it's very refreshing. Give it a try! The packaging is super cute!. You are going to be at the same place for hours and you would get hungry, eventually. Bring a small snack for you and your friends in your purse or backpack. I like carrying sour candy. I love everything sour. It is my thing! I received the Sour Punch bites - Ragin Reds and the Pineapple Mango Chili Straws in the Babbleboxx. I liked the straws, but I am not sure if the cherry sour punch candy is vegan (maybe not because it's red (carmine), but you can always give them away to friends. 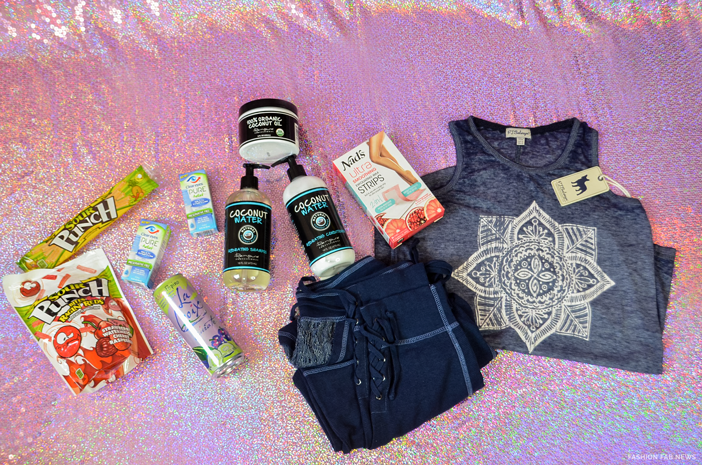 These are just a few of the products that you should bring with you to a music festival. They would make your life easier. La temporada de festivales está aqui, lo que significa que la búsqueda de productos de belleza y moda para estar 100% preparado ya empezó. Terminé esta búsqueda y quiero ayudarte a estar lista para momentos de diversión y buena música con mi lista de productos esenciales básicos para esta temporada de festivales de 2017. Planear lo que se necesita para un gran evento no es cosa fácil, asi que es recomendable hacerlo con 2 semanas de antelación. Si eres como yo, querras saber qué look OOTD y que maquillaje son perfectos para cada día de este evento,por eso existen algunos productos que haran tu vida más fácil y más relajada. No hay de que preocuparse con esta lista y en cuento a moda y maquillaje, estare publicando entradas inspiradas en los festivales de musica muy pronto, esten atentos!. Ultimamente ha estado soleado y nuestro cabello tiene que lidiar con mucho estrés esta temporada. He estado usando los productos de Renpure y decidí que eran lo bastante buenos para compartirlos con usted y también para traerlos conmigo en mi maleta al evento. 1 Champu hidratante. de agua de coco. 2. Acondicionador hidratante de agua de coco. 3. Aceite de coco 100% orgánico. El aceite de coco es como el santo grial para el cuidado del cabello. Es perfecto para los dientes, la piel, genial como removedor de maquillaje,y claramente para el cabello. Es simplemente increíble y definitivamente lo necesitas para los festivales. Si no deseas llevar las botellas completas de estos productos, puedes reenvasar estos productos en botellas de tamaño de viaje. Esta es la mejor opcion.